These almonds make a great tasting healthy snack. 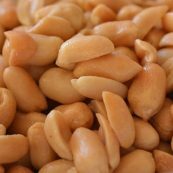 They have been oven roasted in tamari, a traditional Japanese gluten-free soy sauce. 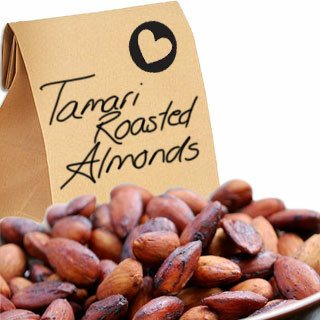 Tamari roasted almonds insecticide free are a delightful snack and suitable for gluten intolerant people. 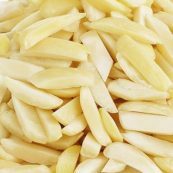 Tamari is slightly thicker than soy sauce and has a stronger flavour so these almonds have a robust flavour. 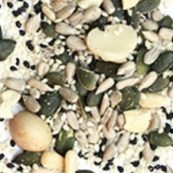 Their combination of protein and dietary fibre can help you feel fuller for longer so are great for in-between bigger meals.